It is unacceptable that each year nearly 6.5 million children die from preventable causes and nearly half of deaths in children younger than 5 occur within the first 28 days of life. Each year, 289,000 women die from causes related to pregnancy and childbirth. World Vision is determined—with your help—to put a stop to these needless deaths. Our programs target some of the most vulnerable communities in some of the most dangerous places for mothers and children. Working with technical experts from throughout the World Vision Global Partnership, academia, and United Nations agencies, we have developed a strategy to deliver life-saving health education and care to some of the most underserved communities in the developing world. World Vision’s global health strategy is founded on proven and cost-effective preventive practices. Our emphasis is on the first 1,000 days, from conception to age 2, because the right nutrition and health interventions during this critical window are vital for survival, and directly impact a child’s ability to grow, learn, and ultimately break the cycle of poverty. 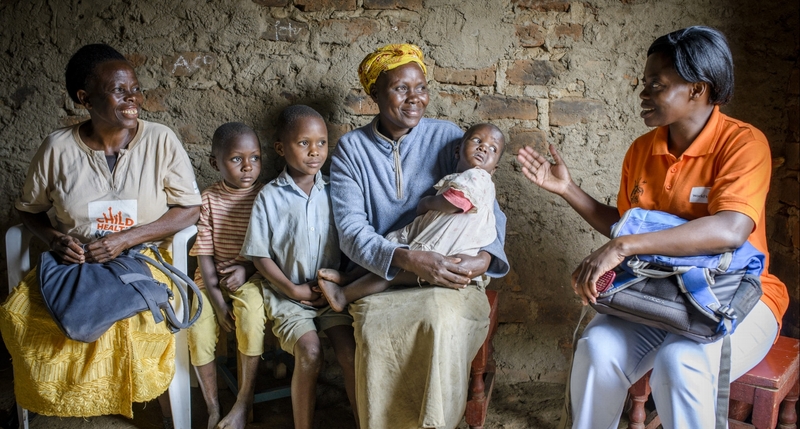 World Vision works at the household level through community health workers and trusted volunteers, who focus on primary health and nutrition education, changing health-related behaviors, and encouraging women and families to use essential health services. We support more than 220,000 community health workers around the world, and the heath education model we train them on has been determined by the World Health Organization to be one of the most comprehensive and effective maternal/neonatal/child health approaches available.We build the capacity of local agencies and community groups to monitor the causes of illness, death, and malnutrition, while leading advocacy efforts for improved quality and availability of health services. At the national level, World Vision works with governments and key partners to strengthen the health system and improve the services provided. Experience our work in Health. Of course, we want mothers and children to survive. But we dare to want even more. We want them to thrive. Will you join World Vision as we embark on this effort to reach out as the healing, helping, and loving hands of Jesus to his children? World Vision believes that every child is a precious gift from God, and that all mothers deserve to have the basic information, medical support, and care to ensure safe deliveries and protection from preventable diseases. Yet, hundreds of thousands of women in developing countries don't survive pregnancy or childbirth, and millions of babies and toddlers still die unnecessarily because they don't have access to this most basic health care. Train and equip community health workers to deliver high–impact assistance in their own villages. Provide local health facilities with tools to combat life–threatening conditions. Give mothers and families knowledge to better understand and take control of their own health. Educate and empower faith leaders to work together in their communities to become their own best advocates for government–mandated services.